Hey everyone, I’m Stefano Maccarelli, Sound Designer, Composer & Sound Technician. I was born in Rome, in 1976. I discovered music & sound design at the age of 14 with my first sampler & computer. I graduated from School of Cinema & TV ” Roberto Rossellini ” with 58/60 score. I began my career as Sound Technician. I Have experienced much in my life like : Sound Designer, Composer , & Sound Technician. 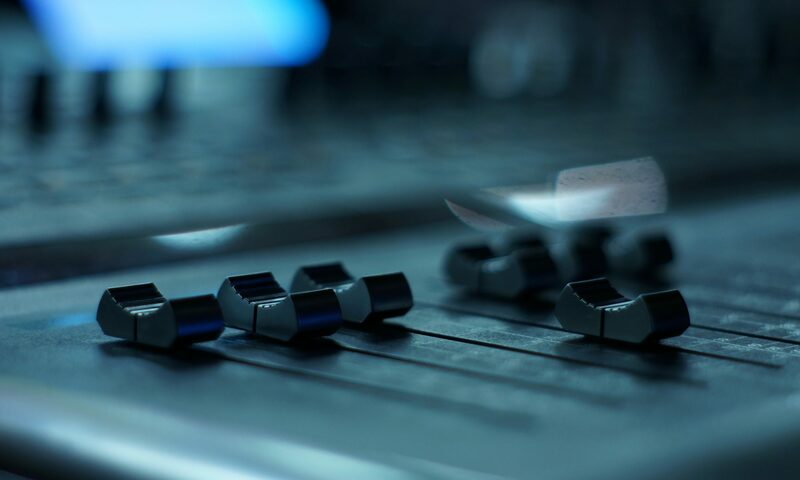 I have over 20 years experience in audio post production, music production, mixing, audio technologies. I Worked with several studios and brands. My Music & Sound Design has been used for dozens of Films , Docu Fiction, Commercials, Idents, Promos, Tv Shows, including brands like: Fox, A&E, Sky, RAI, National Geographic, Fox Sports & Mediaset. I’m working with Fox Network Group ( 21st Century Fox division) since 2007 as Senior Sound Designer & Composer. IN THIS VIDEO: HORNS, BRAAMS, HIT, WHOOSH, TEXTURES AND MANY MORE ! HOW TO CREATE THE STARTING POINT FOR TRAILER MUSIC ! WITH ETHERA EVI & ETHERA SOUNDSCAPES. True Legato 2.0 : Natural Release, No Loop, Natural Vibrato. The New Ethera EVI True Legato Instrument is based on up to 4 Layers of sound and is the most authentic legato Vocal instrument now on the market. Ethera EVI Vocal Phrases provides over 1GB and 1200 individual phrases of authentic inspirational live vocal performance. Ethera EVI Vocal Builder is a set of samples programmed to act as an intelligent entity allowing the composer to live-play a vocal sequence or chord with different vocal articulations. Ethera EVI Synth is a powerful wavetable synth – it’s a perfect tool for cinematic sound, sound design, cyber punk music or any electronic music production.The raw samples have been created by sampling some of the best hardware synths, several sound field recordings and a whole range of organic sounds, acoustic instruments, and human voices. The Ethera EVI SYNTH contains over 850 presets already created for you and ready to use out of the box including 100 Multis and also includes a multisampled 1928 Acoustic FELT Piano. Kontakt includes an extra 6 GIGABYTES of entirely new material and features. This stunning library now amounts to a whopping 23GB in size. Featuring three instruments in one, ETHERA Soundscapes 2.0 takes you into an amazing world of stunning male and female voices, synths and ambient sounds for your cinematic and electronic compositions. It is armed with a custom Kontakt GUI and 590 Kontakt patches. Ethera Soundscapes really is the one stop shop for soundtrack creation. ETHERA is the first of Ethera Series, and is a stunning cinematic vocal instrument** that combines amazing vocal samples, incredible simplicity and a high degree of playability all packed into a beautiful Kontakt interface for total ease-of use and ultimate sound manipulation. ** NB. ETHERA requires the FULL version of Kontakt 5.6.1 or higher – it will not work with the free Kontakt Player. Hot on the heels of the critically acclaimed ETHERA comes another fabulous vocal Kontakt instrument** the ETHERA SOUL EDITION which combines stunning Soul and Gospel vocal samples, incredible simplicity and a high degree of playability all packed into the same beautiful Kontakt interface for total ease-of use and ultimate sound manipulation. • Full Choir Oh & Uh with Crescendo. • The Unique Voice of highly acclaimed Vocalist Clara Sorace.